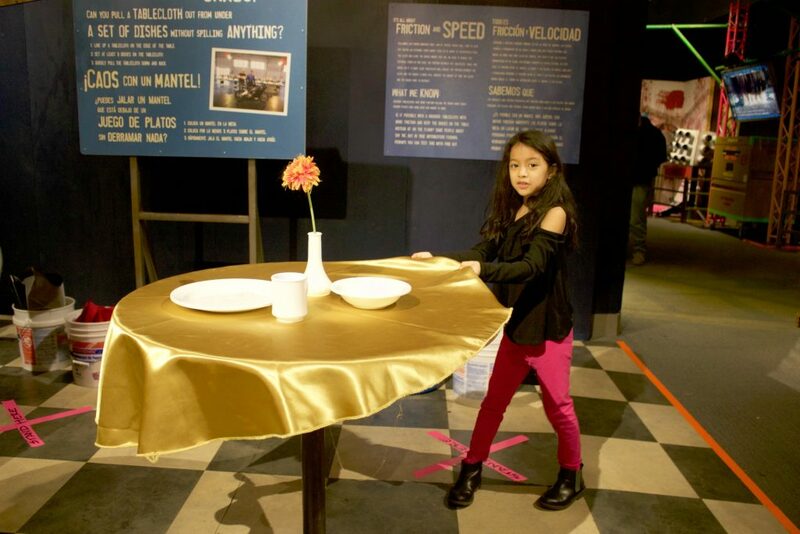 You are here: Home › Events & Outings › MythBusters Exhibit At Liberty Science Center + Giveaway! 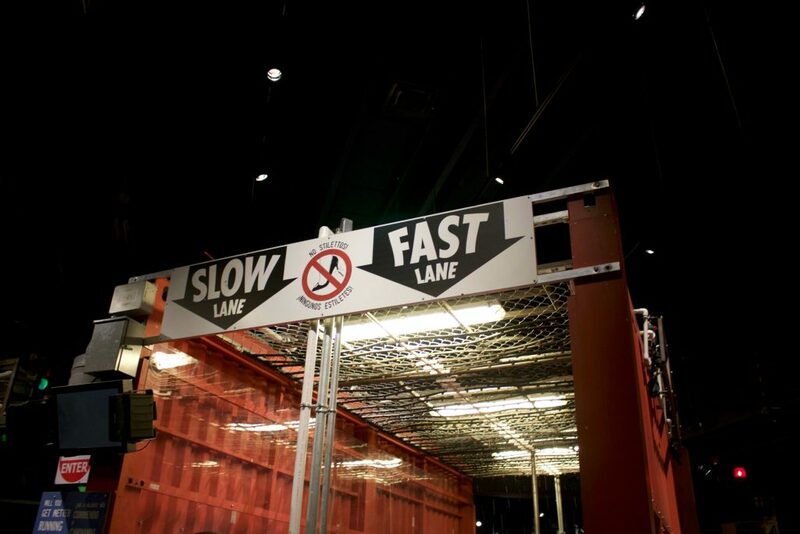 MythBusters Exhibit At Liberty Science Center + Giveaway! 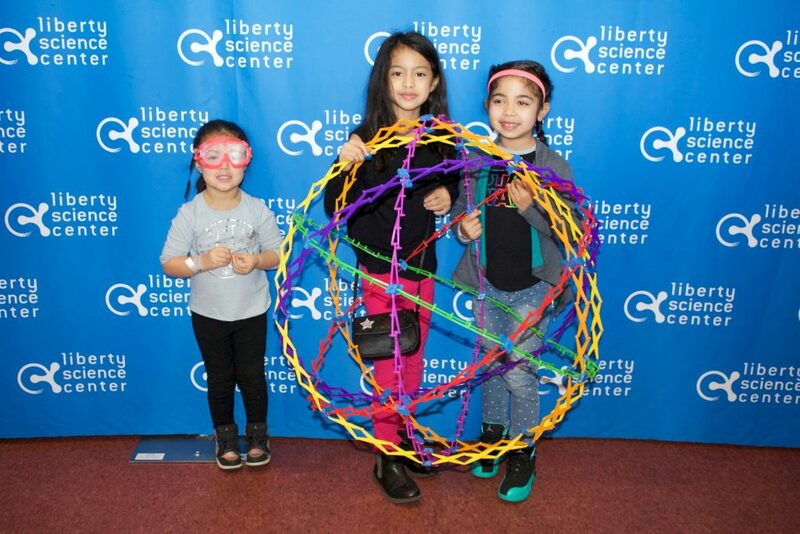 The Liberty Science Center is always a local escape for our family.We love spending time with our little scientist exploring and having adventures. We were invited for this day of fun with Momtrends Even though we live so close, we always meet families from all over the tri-state area who visit the LSC. 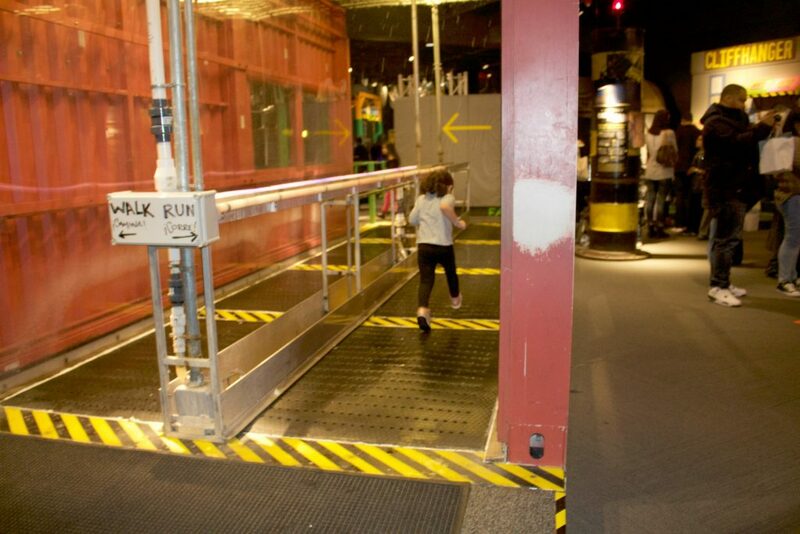 It’s great how the Liberty Science Center always has different science exhibits that are great for the whole family! 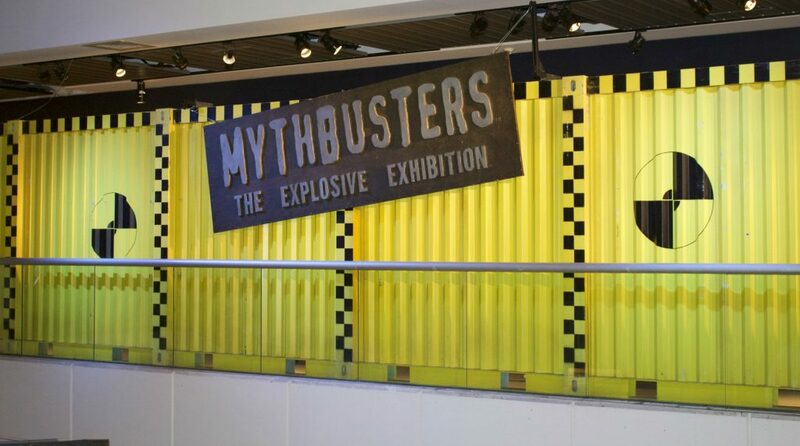 The newest exhibit at the Liberty Science Center is the MythBuster: The Explosive Exhibit. 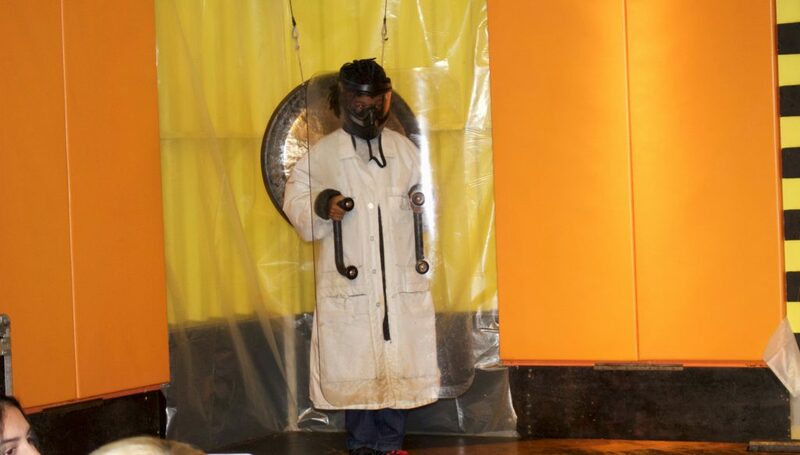 It includes live demonstrations, visitor participation, and spectacular sets and experiences from the TV show. We had a walk through the gallery of props and gadgets from the show, a live interactive show, and hand on Myth exhibitions that we put to the test ourselves. The girls had an amazing time testing out the different myths in the exhibit, What keeps you drier, running in the rain or walking through it? After the kids walked and ran there was a blacklight that could show which one keeps you drier. My girls really think that walking keeps you drier! We entered a separate room where we the audience participated in a live show. 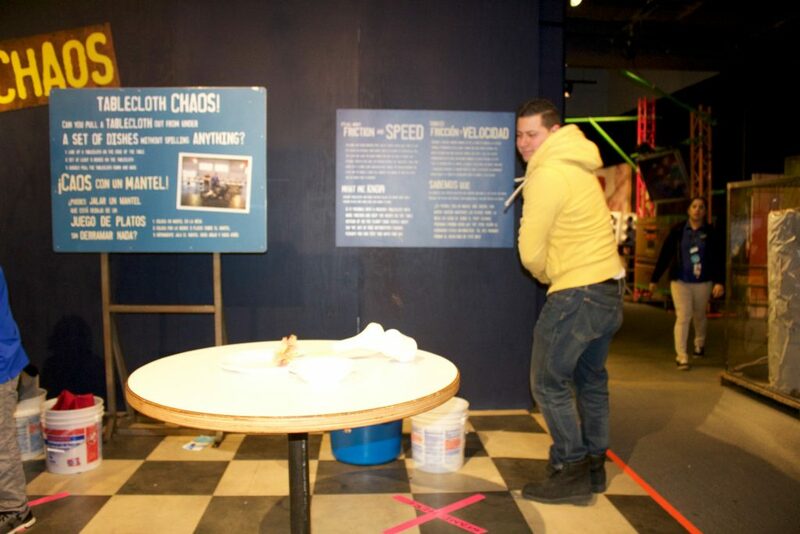 Cj from Dellahsjubilation was a brave volunteer when we he tested out the Myth if a person can really dodge a bullet. He actually dodge a paintball and did an amazing job. This was interactive so Kayla enjoyed participating in giving giving there hypothesis. Our favorite was the Tablecloth Chaos Myth. Can you really pull a tablecloth off of a fully set table without disturbing a dish? We all tried this myth about 100 times it was just so fun pulling the table clothes and seeing how many dishes we could keep in the table each time. Henry was actually pretty good and was able to keep all the dishes on the table at the third try! It was seriously impressive. Enter to win a family pack of 4 tickets to the Liberty Science Center, you can try some of theses Myths for yourself. 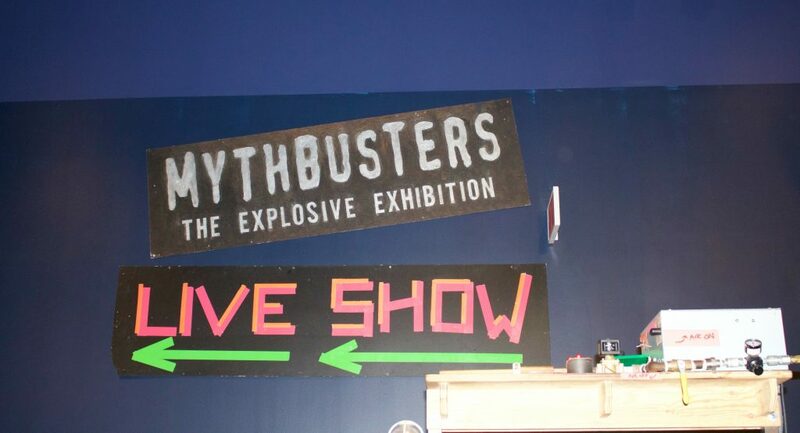 4 Responses to "MythBusters Exhibit At Liberty Science Center + Giveaway!" I’ve always wanted to try that tablecloth trick! What fun! I would love to see if I could dodge a speeding bullet! The table cloth chaos myth has always fascinated me!